Gear4 is owned and managed by UK-based Disruptive Limited. Established in 2004, Disruptive Limited was one of the first companies in the world to launch a dedicated brand of iPod accessories under the Podgear label. Since the rebrand to Gear4 in 2006, its’ products can now be found in many of the leading UK retailers. 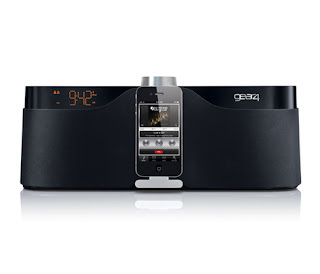 Gear4 currently holds one of the highest sales volumes in the European market for both the docking audio and MP3 accessory markets. The passion for music and the desire to do justice to the capability of iOS devices have helped Gear4 evolve into what it is today. This year the British brand has partnered with Iontech, Inc. - the Philippines’ leading distributor for IT and consumer electronics - to introduce their speaker systems and accessories here in the country. Iontech believes that Gear4’s sound quality and the innovation that they introduce into every product from the entry level to the flagship models will make a big impression on the Philippine market. 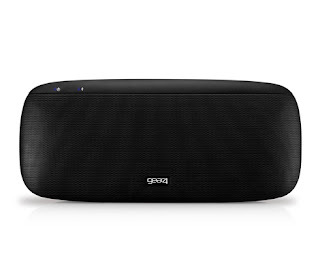 Speaker docks like the 16mm thin StreetParty Size 0 will find its’ way to many bags and backpacks of teens who love to share their newest tunes. 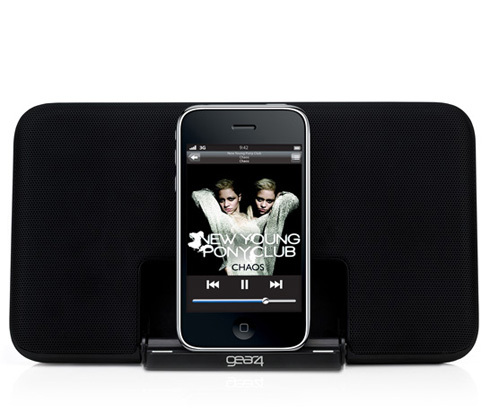 And the 30-watt boomer HouseParty 4 Evo is sure to host many living room parties. 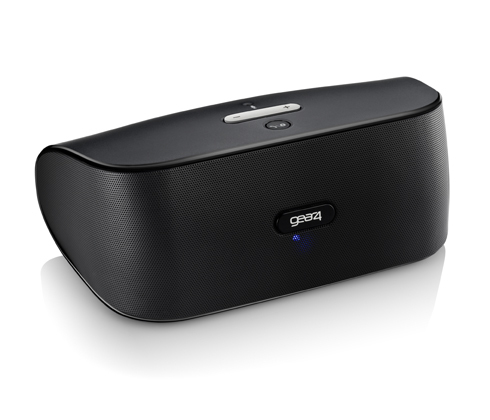 Airzone Series 1 is the flagship AirPlay enabled speaker dock from Gear4. It has enough vocal detail and instrumental imaging that will make it inspiring to listen to, not just to look at. Another aspect of Gear4 that excites the people at Iontech is the brands’ avant-garde attitude. 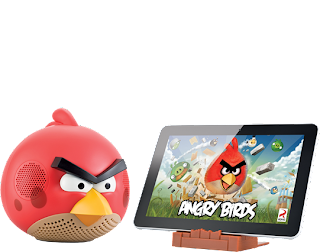 It has collaborated with entertainment media company, Rovio, to create an Angry Birds line of speakers. Now don’t mistake them for flimsy rip-offs, these are well crafted speakers that play loud and sound real good. 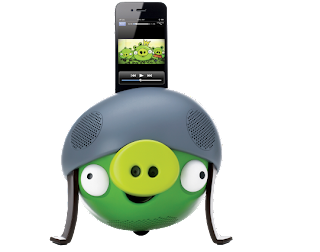 Also, with the launch of the Bad Piggies game, the upcoming Angry Birds animated series, and the much awaited holidays, Gear4 has timed the release of the Angry Birds Mini Speakers. Five adorable birds from the famous game that fans will love to collect. And they probably will because they can be linked in series to make a long speaker line as well. The Angry Birds series are serious 2.1 speaker systems with 30 watts of amplification. They will surely rattle more than a few sticks and stones to impress the most avid avian Fans. With‘apps’ being able to do almost anything imaginable, Gear4 created the SmartLink App. 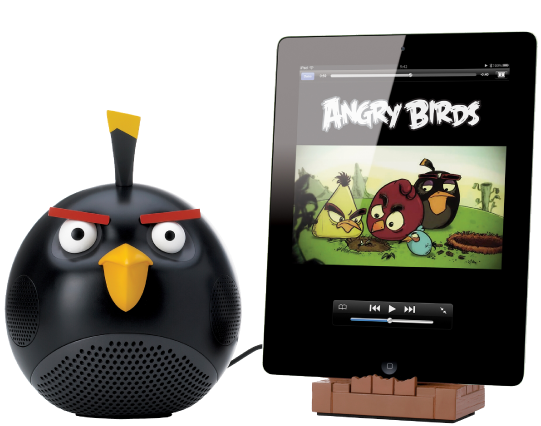 Free from the iTunes store, installing it will work wonders for a Gear4 SmartLink compatible dock. 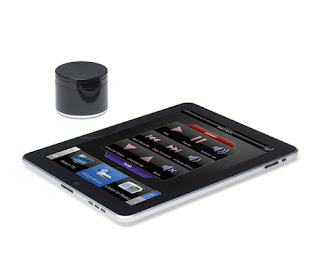 The app features a music player that allows access to your music library and display album artwork in full screen. 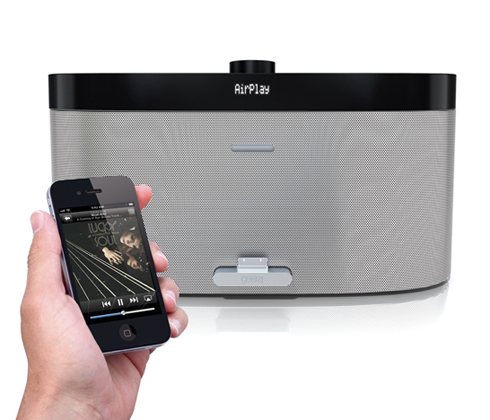 It has an FM radio that can auto tune, save and organize your favorite radio stations. 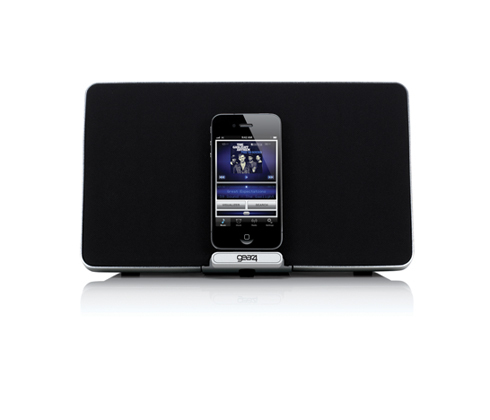 It adds clock and alarm functions that will sync to your iPod/iPhone/iPad. The app will tell you the current climate on the animated weather display and up to five days forecast to help you plan the week ahead. SmartLink will also let you do all these wirelessly if you wish. For those who are looking for something more than the benefits that music gives, the Renew SleepClock offers what eludes a lot of us these days, better quality sleep. The Renew SleepClock is a unique alarm clock dock that has a built-in wireless sleep monitor. Designed to detect sound, breathing and motion, it knows when you fall asleep and will gradually quite down your bedtime music. It also senses your sleep states and will wake you up with your personalized alarm at the lightest point of your sleep in a given time period so you start your day feeling light, refreshed and happy. The Renew SleepClock App will record your sleep patterns throughout the night sharing information such as the time you spent in bed, time it took for you to fall asleep, time spent in deep and light sleep and how many sleep interruptions you had. It will then compile and analyze weeks and months of data, along with your sleep journal entries to give you advise on how to make you sleep better and to track your progress over time. The Unity Remote is the ultimate iOS universal remote Solution. Control your home entertainment system, surf the net and post a status all from your iPad. The Renew SleepClock is the only alarm clock designed to help you sleep better. The non-contact sleep monitor will help lull you to sleep and wake you up at the best time with your favorite music so you start your day feeling refreshed and happy. OCTOBER 11, 2012 "MEDIA LAUNCH"